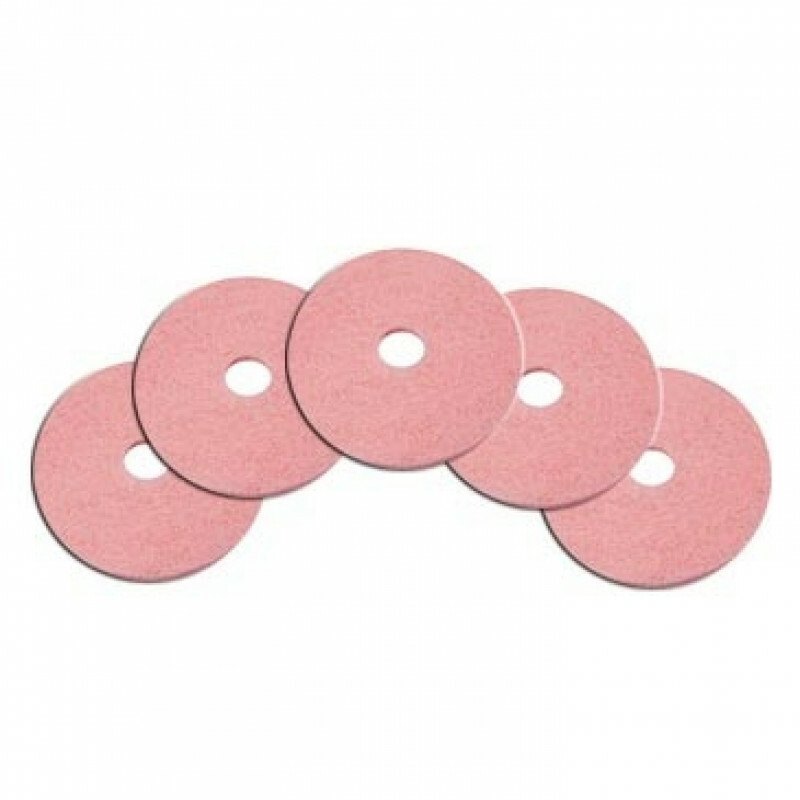 These 27 inch pink Remover aggressive floor polishing pads can be used on both sides and are 1 inch thick. They're made to be used with our propane burnisher buffers to remove heavy scratches and scuff marks from hard finishes. Due to possible scuffing and scratching, they should not to be used on soft finishes. For additional options, don't forget to check out our complete line of floor buffer accessories including many other sizes and grits of floor buffer polishing pads.